After doing the first integration of the Logitech RGB/Monochrome keyboards @techtek and I had the idea to use the build in LCD screens of some of these keyboards to show notifications too. 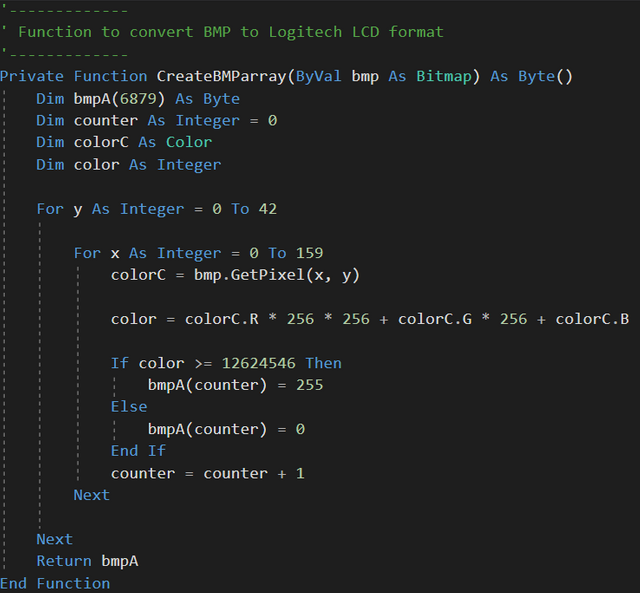 The developed Logitech LCD program can be used stand alone, or be integrated in other applications and is added to my repository, the program is optimized to work with Blinkit, and will be further integrated inside Blinkit soon. Show a specific animation on the LCD screen, based on the newly detected (Steem) action. To be able to use this new feature it is necessary to have a Logitech keyboard which has a build in monochrome LCD screen. As in the previous version I used the by Logitech provided SDK. But this time the "LogitechLcd.dll" is used instead of the "LogitechLed.dll". This DLL can be found in the Logitech Gaming Software installation path. To be flexible with the installation path I added a function from the "kernel32" library which handles the path to the dll. The path will be added in the main function. To get the functions from the LogitechLcd.dll the Dllimport function from the System.Runtime.InteropServices library has to be used. To start the main program two handles are created. One starts when the form is loaded and the other one when the form gets closed. 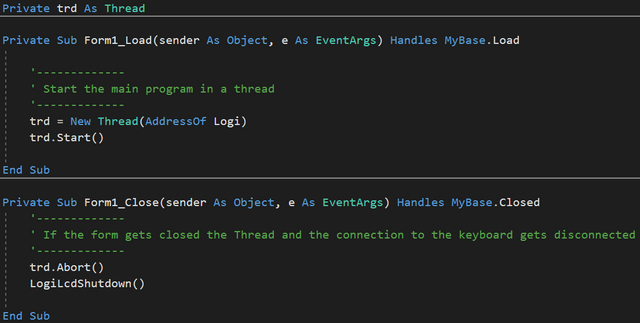 The main program (Logi) and the Form are running in two different threads. The MyBase.Load handle starts the new thread. The MyBase.Closed kills the thread and stops the communication to the keyboard so it can be canceled everytime. These values are stored in a seperate .txt file created by the Blinkit software. These files can also be edited by hand if it is used as a stand alone. For the Bitmaps a folder is created with the name of the animation and in this folder there are 12 files (frames) named 1.bmp, 2.bmp etc. So by writing different names of the action into the "logitechaction.txt" file the coresponding animation is played. With the "path" variable it is possible to use the function form the kernel32. Thats the next thing done. Now it is possible to use the functions from the LogitechLcd.dll. It sets the background to each frame and waits between each frame. So it looks like an animation. The "LogiLcdMonoSetBackground" function takes one parameter which is a byte array... but all we got are bitmaps which are in the wrong format. So the function "CreateBMParray" is called which converts the bitmap into the right format. The format the Logitech function needs is given in the official documentation. After the animation has played the program closes. 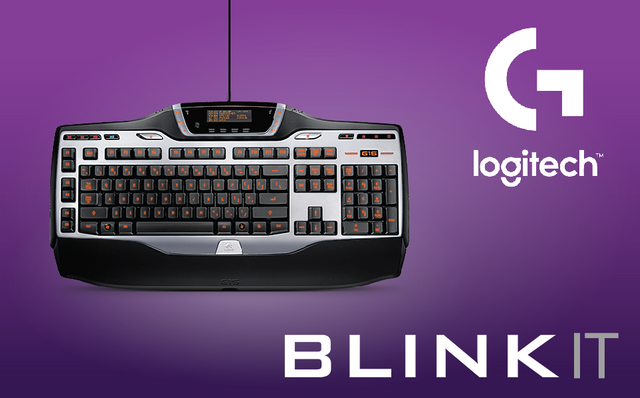 I personally own the Logitech G510 and tested it only on this keyboard, @techtek tested it on the G15 v2. But as mentioned in the other post there is a virtual environment inlcuded in the Logitech Gaming Software where it is possible to test the code in a virtual way for all supported keyboards. There you can see an emulated monochrome LCD with buttons that are also on the keyboard. The button on the far left is used to cycle trough the different apps. The four buttons at the bottom can be used to navigate inside an app. The animation will always play on top of the previously openend screen. Thank you for your contribution. 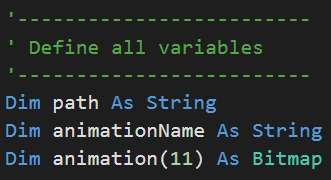 Please try to add commits as soon as you do some code or feature instead of adding all the files at once and try to be little descriptive in your commits. You have mentioned "How to handle the code/project", but do try to elaborate on that how to start working on the project by being little more descriptive. You should also use .gitignore file to remove files which are not needed to be uploaded like bin and obj files. These files to get generated when you build the project in your local so there is no point in uploading it to GitHub.